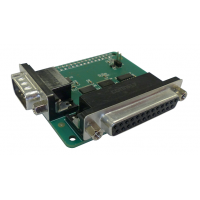 The serial port includes a line driver for TXD/RXD and RTS/CTS hardware handshaking. On RISC OS the parallel port requires a soft loadable driver module (see resources). The serial port driver is built into the OS. 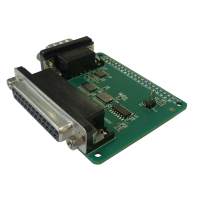 On Linux a loadable kernel module is being developed for the parallel port, due Q1 2019, contact support if you'd like to get involved with testing. The serial port driver is built into the OS. RISC OS boot sequence update to load the parallel device driver module on RISC OS.